We have not held back on our enthusiasm for the Sony Xperia Z, an extremely notable flagship Android device due for release in March. The Xperia Z has top-notch specs and features in an attractive-looking handset and we think this will fly off the shelves on launch. There’s a lot of interest in this smartphone and we can now give those in the UK some first news about pre-orders for the Xperia Z beauty, at the price of Â£529.99. The Xperia Z was officially announced at CES last week but no details were given of pricing. However, we told how widespread speculation had pegged the price at around Â£500 ($800) in the UK. Now we hear that online retailer Expansys has put the Xperia Z up for pre-orders priced at Â£529.99 SIM-free, although it was initially put up as Â£399, which seemed to good to be true and was! 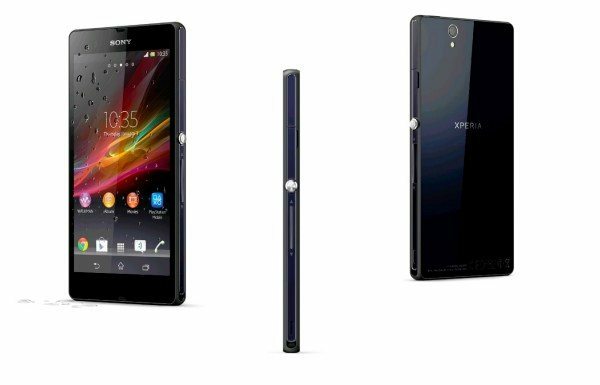 The Xperia Z is coming in three colour options, black, white or purple, although so far only the black model is listed at Expansys. There’s still no confirmed shipping date but we have previously told how Phones 4 U in the UK have said that the Xperia Z will be available in its stores from March 1st so hopefully that’s some sort of guide. We can’t speak highly enough of the Xperia Z and it’s difficult to see what could better it at this point in time, even though there are plenty of other hugely impressive smartphones on the way. Of course Samsung’s flagship Galaxy S4 is expected in the spring so it will be interesting to see what that has to offer. We’ll just refresh you with some of the key specs of the Xperia Z and they include a 1.5GHz Qualcomm quad-core processor, a 5-inch full HD display with resolution of 1920 x 1080 and a stunning pixel density of 441ppi, 2GB of RAM and 16GB of internal storage, expandable via microSD to 32GB. The Xperia Z also has a notable 13.1-megapixel rear camera with 1080p video capture, a 2.2-megapixel front-facing shooter, LTE connectivity, NFC, Wi-Fi 802.11 b/g/n, Bluetooth 4.0 and non-removable 2330 mAh battery and it all runs on the Android Jelly Bean 4.1.2 operating system, to be upgraded to 4.2. For more info you may find our comparisons of the Xperia Z to the Samsung Galaxy S3 and also the LG Nexus 4 helpful. If you wish to pre-order the Xperia Z, head to this Expansys product page. We’d like to know what you think of the Xperia Z. Have you already decided that this will be your next smartphone choice? What are your thoughts on the Â£529.99 SIM-free price tag? Let us know with your comments. I Pre ordered at Â£399 do they have the right to chance the price? Galaxy S will still be a cheap piece of korean plastic with ugly Touch Wiz user interface.